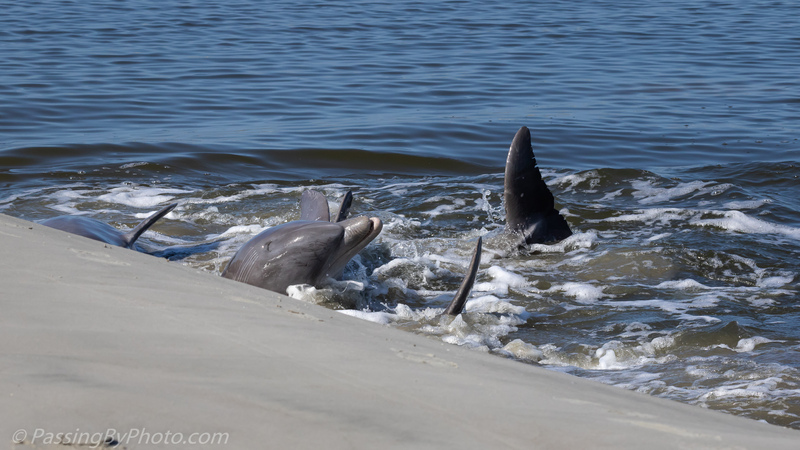 A number of Dolphin pods in South Carolina catch fish by a process known as strand feeding. Singly or in groups, they drive fish to the shore, aka strand, usually at a steep bank, then nab the fish. To stay at a distance that is safe for the Dolphins doesn’t always result in the best images, but it sure is interesting to watch. I didn’t see any fish during this stranding. Saw a cool thing about this on TV. May or may not have been dolphins, but in a symbiotic relationship these local net-fishers somehow “called” the fish. The fish do their stranding thing, driving the target catch to the humans. I wish I could recall why the fish stick by them. Either the humans’ presence increases their take, or the humans give fish to the stranders. I suppose we could google it. Inquiring minds needed to know… I found a 2013 piece on slate . Com, featuring just what you are describing, in Laguna, Brazil: The experience was known locally for 120 plus years. The fishermen are definitely benefiting from the dolphin activity with an increased catch. 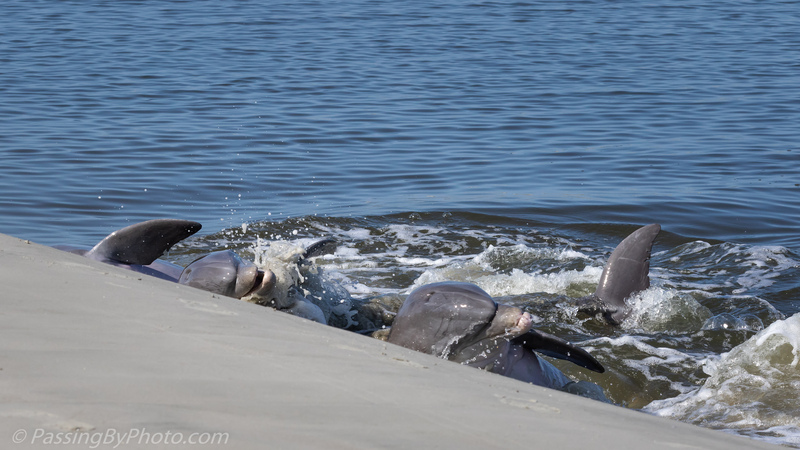 Research over the last couple of decades has not revealed what is in it for the dolphins. Research in the US shows that only certain dolphin pods in limited areas feed this way and it seems to be a taught behavior. When conditions aren’t right (tide, fish presence, human absence, etc.) these dolphins will feed like all the others. This is quite fascinating, Ellen! Great shots! Thanks, Donna! I hope to get back to see it again after the summer folks have moved on.